In what has become a customary verbal attack, the Bulgarian Orthodox Church has criticised plans for the annual Sofia Pride Parade – in the case of 2016, specifically because the June 18 date coincides with the church’s making of All Souls Day. In the Orthodox calendar, All Souls Day (Zaduzhnitsa, Задушница) commemorates the souls of the dead. A message from Bulgarian Orthodox Church Patriarch Neofit, who by his office is also Metropolitan of Sofia, said that “in the central part of the city we will again witness blatant propaganda for and public demonstration of homosexuality as a lifestyle”. Lengthily quoting the Bible, the statement said that these were times when the moral values that for centuries had been the true landmark for people were “frivolously and deliberately” being subjected to replacement and rejection. Modern society, which the statement described as “torn from its Christian roots” was, in an effort to be tolerant and humane, “replacing the concept of core values such as love and freedom and calls homosexuality by morally neutral terms such as ‘sexual minority’ and ‘different sexual orientation’,” the statement said. “As we deal with pastoral concern, responsibility and love towards people with homosexual inclinations, as with all children of the Bulgarian Orthodox Church and the whole Bulgarian people, we resolutely oppose attempts to present and impose a sinful tendency as a norm in our society, as a reason for pride and emulation,” the church said. Sofia Pride, which in 2016 is in its ninth year, customarily has been targeted by far-right political groups and the Orthodox Church. In its first few years, the Pride Parade was disrupted by aggression from “football fan” hooligans, though in recent years it generally has passed off peacefully. This year has again seen an appeal from a nationalist political party, VMRO, to call off the parade, also citing the objection that Sofia Pride was scheduled for the same date as All Souls Day. Sofia Pride’s organisers have written to Sofia mayor Yordanka Fandukova expressing concern that the municipality has given permission for a counter-demonstration around the time and place that Sofia Pride is due to start. 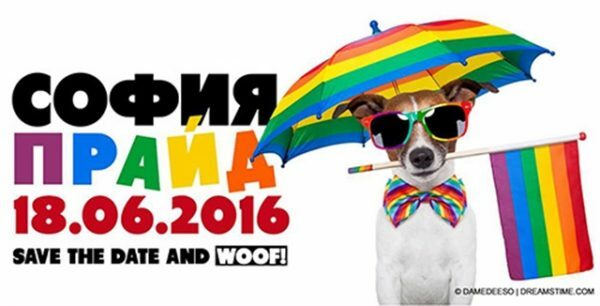 The 2016 Sofia Pride, which some time ago chose the theme of encouraging family and friends to provide a supportive environment to LGBTI people, is being held close to a week after the mass shooting attack on a club in Orlando, Florida, which was targeted because it was a place for LGBTI people.